I organized a cruise over the weekend for a couple of local car forums I am on and a wide variety of cars showed up. 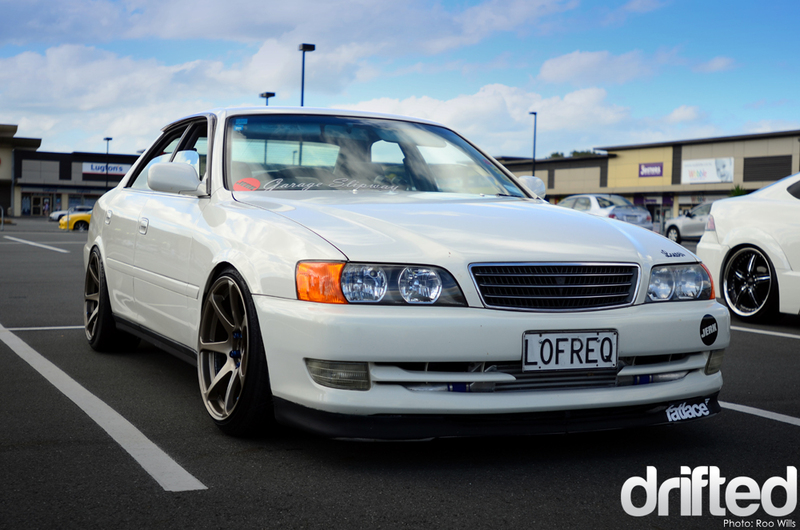 One of my favorites was Nigel’s JZX100 Chaser. I have a huge soft spot for luxurious 4-door cars that can get up and boogie when they need to. The car is factory 5-speed manual but has been fitted with a 2JZ-GTE. An Apexi SAFC II and HKS EVC3 have been added to squeeze some decent power out of a relatively stock setup. This perfect stance is achieved with a set of Tein HE Coilovers and 18×9.5 MB Battles all ’round. A Cusco 2-way LSD has also been fitted to take care of any sideways action. 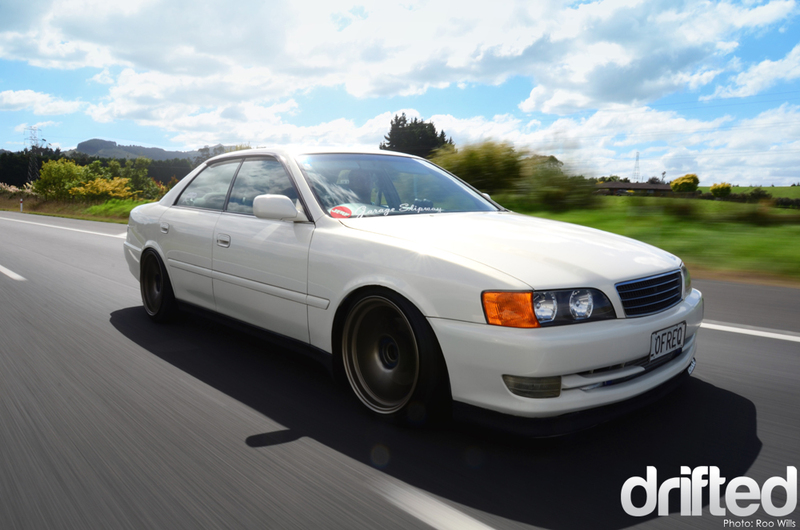 Nigel daily drives this Chaser and for me, its the perfect street car. Comfort and luxury combined with 3L turbo power, what more could you want?